Modern painting by author painted by Michele Armenise, 2013. 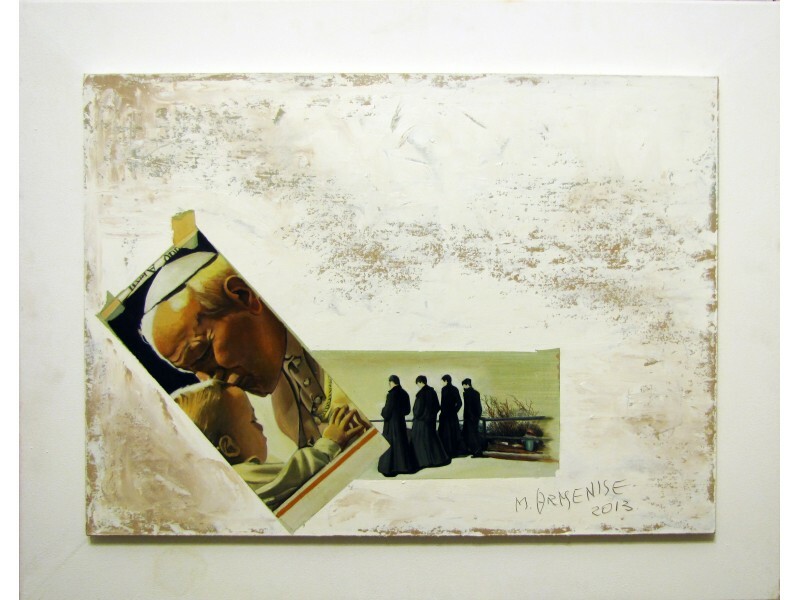 Modern pictorial work created in 2013 by the Italian artist Michele Armenise. Oil on cardboard on frame. Two newspaper photos that tell the love and commitment of a great pope.